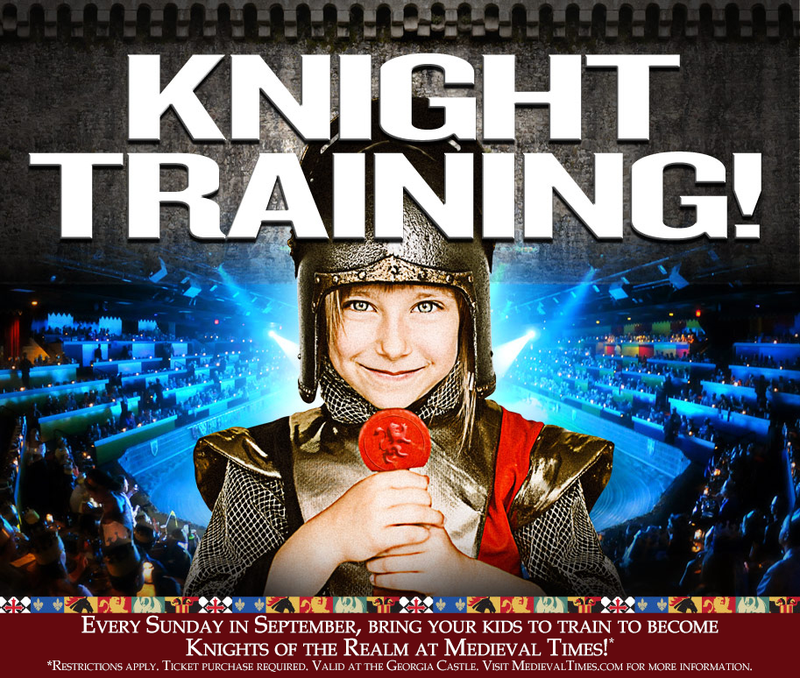 This Fall Break, bring your kids to train to become knights of the realm at Medieval Times. Children ages 5 through 12 will enjoy watching an exclusive weapons demonstration by our knights and the weapons master. They will be invited to follow through the basic battle stances with personal attention from the knights of the realm. They will also learn about the grueling training that it takes to become a knight. Upon completion of their training, your children will be knighted by His Majesty King Carlos in a group knighting ceremony. This special Knight Training Class is only available prior to the 5:00 PM Sunday shows in September. Training will begin promptly 1 hour prior to the show. Space is limited and training is available on a first-come, first-served basis for the first 100 kids per show. Training is open to both boys and girls. Closed-toe shoes and admission to the show are required to participate. Unlock the Secret to an Unforgettable Field Trip! Medieval Times, Atlanta is proud to announce our very first Homeschool Day. Join us for the 11:00 AM matinee show on Wednesday, September 24, 2014. Enjoy a special matinee show that includes a 30-minute educational presentation, our exciting tournament show, and lunch. We are extending our exclusive group rate to homeschool groups of all sizes. 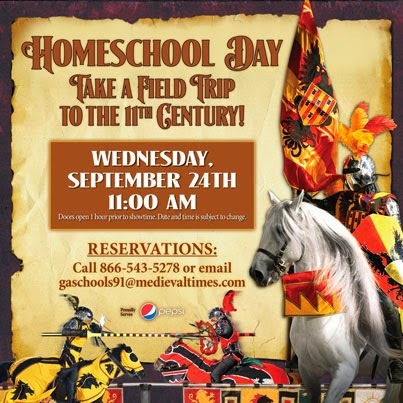 Call (770) 225-0495 or email gaschools91@medievaltimes.com for more information. Fall break is right around the corner! Plan a staycation that your kids will never forget! Join us at the castle for any show in September and take advantage of our special Fall Break discounts. Adults are just $32.95 and kids are just $29.95 for every show through the end of September. Book with code 3229GC to secure your discounted tickets today! Each ticket includes the two-hour live tournament and four-course medieval feast. 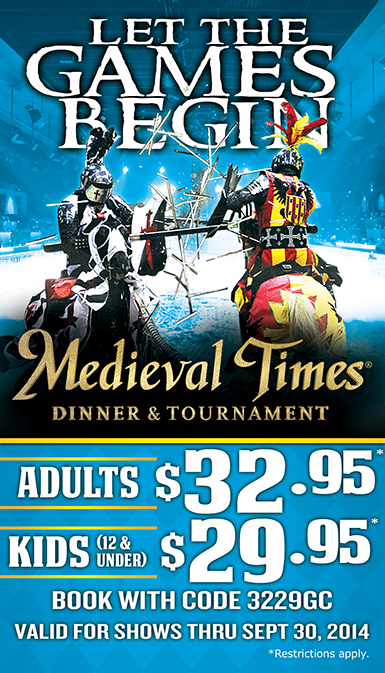 Win 4 tickets for dinner and tournament at Medieval Times Atlanta. To enter leave us a comment below and register your entry on our rafflecopter widget.